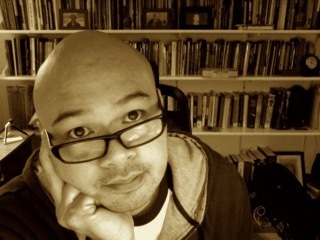 Our poetry editor for September and October is Oliver de la Paz, the author of four books: Names Above Houses (SIU Press 2000), Furious Lullaby (SIU Press 2008), Requiem for the Orchard (U. Akron Press 2010), and Post Subject: A Fable (U. Akron Press 2014). With Stacey Lynn Brown he co-edited A Face to Meet the Faces: An Anthology of Persona (U. Akron Press 2011). He is a founding member and co-chair of the advisory board for Kundiman, a non-profit arts organization dedicated to the promotion of Asian American Writing. He teaches Creative Writing at Western Washington University and in the Low-Residency Rainer Writing Program at Pacific Lutheran University. Speaking of Submissions, do you have a defined call for this issue? I’m excited about reading for The James Franco Review because I believe in the journal’s mission of inclusion and its emphasis on underrepresented work. Part of my journey as a writer and supporter of the arts is my belief in the fundamental acknowledgment that the arts are vital and that promoting opportunities for newer voices ensures the health of all arts. I just finished reading Anthony Doerr’s All The Light I Cannot See as well as Beth Bachmann’s Do Not Rise. Both exciting books. I’m in the process of finishing up Rebecca Solnit’s Motion Studies, which I’m enjoying and which is feeding a personal writing project. Submissions open August 31! Get friendly with submittable and send your poetry to Oliver. Tags: Anothony Doerr, kundiman, literary submissions, Oliver de la Paz, Poetry, Poetry Editor, submittable. Bookmark the permalink.